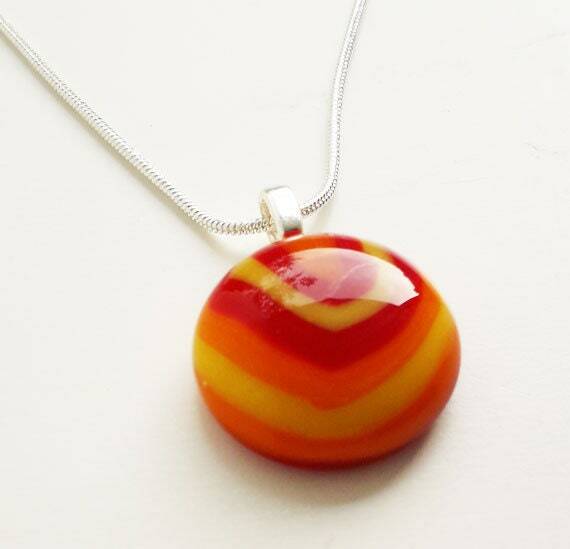 Fused glass pendant, in red, yellow and orange glass. 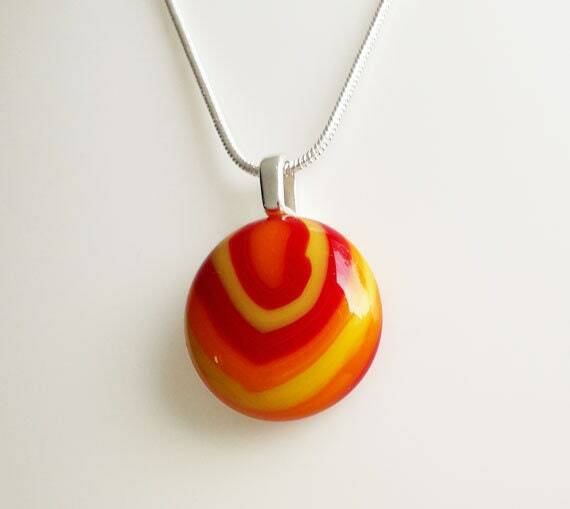 A teeny tiny one! 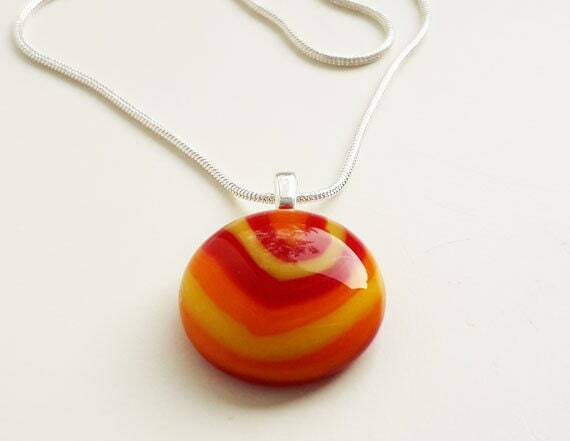 A teeny tiny fused glass pendant, made from red, orange and yellow opaque glass in a cute, round, swirly pattern. 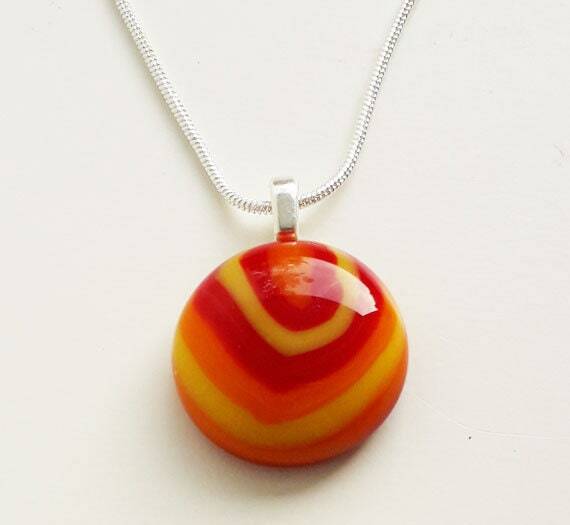 It's only about 20mm wide so it's quite dainty, but the bright, summery colours mean it really stands out all the same. 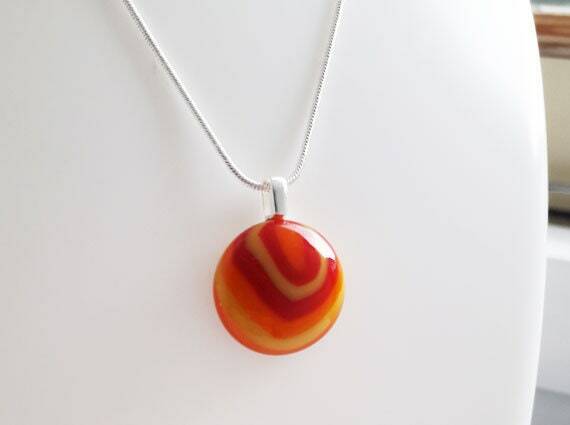 It hangs on a sterling silver plated leaf bail, on an 18" silver snake chain.